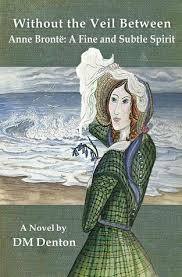 The novel by DM Denton Without the Veil Between - Anne Brontë: A fine and subtle spirit puts the accent on the lesser known of the three Brontë sisters, the British authors who have become famous throughout the world in the last century. I remember that forty years ago their name appeared little in the European encyclopaedias, and even Anne, the third sister, was mentioned only by name, without even knowing that she had written two novels instead. Today, however, Anne Brontë has been greatly re-evaluated and in the last twenty years, thanks to translations of her works in various languages and a BBC production of her second and longer novel, she is considered in some respects even the most modern of the three. With grace and discretion, DM Denton through this novel wants to start an unaware reader to the path of endurance carried forward with determination and modesty by the smallest of the sisters tracing the developments during the last seven years of life. It highlights those that were characteristics in her already common to the other two, namely the determination and courage to assert their ideas often deviating from the conventions of the time. 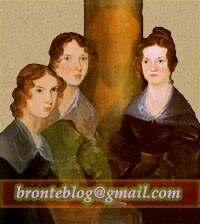 Through the succession of chapters in the book, where the historical-biographical information is dutifully mixed with the imagination, we discover wonderful family pictures in which we are almost in contact with the daily life of the Brontë family, we see discussions and small skirmishes between the sisters, we live and share the constant concerns of all of them with regard to their brother Branwell, who is on the wrong path and with no return. Above all, through the well-measured words of Denton, a young Anne emerges more and more, especially in the final chapters. She frees from the web of religiosity with which she traditionally is painted, tries to leave something good in the world through her measured but deliberately targeted writing. A different Anne, at the beginning of the book, timidly in love and then resigned to accept her own death with dignity and fortitude without moving piteously the reader, as often happens in various modern biographies or film biopic transpositions. All this is to give credit to Diane M. Denton who, with her delightful pencil drawings on the inside but also on the cover of the book, has contributed to making a meaningful homage to the memory of Anne Brontë.